I have never used eyelashes before but want some not overly obvious false ones that are easy to stick on for my wedding day as my eyelashes are not noticable at all! I have noticed these on asos http://www.asos.com/pgeproduct.aspx?iid=809207 has anyone tried them or should i go to Mac, any recommendations? or should i should save my money (as i have spent my budget anyway, eek!) and buy some cheapie ones from superdrug etc any recommendations at all would be much appreciated. do they all come sticky or do you have to use glue and will i have to wear eyeliner to blend it in? help! Lol I need this advice too...I followed advice on here to warm up my eyelash curlers with my hairdryer and I singed mine ...wedding in 27 days !!! Sorry didnt have much time but wanted to post. The Mac ones are fab and they are only £8, you do have to buy the glue but its a massive tube that yo can keep. They just look fab, especially from the side, really curly and fluttery! I used MAC on my wedding day, they are fab !!! I use MAC and if you ask one of the assistants to apply them for you they will so you could try a pair before a night out first to see what you think there brill!! MAC ones are fab...can be re-used several times. But if you are on a tight budget I got some totally bargainsville ones form POUNDLAND for yep...£1!! They last me at least 3 times longer.I wear these every day as I'm now an expert at putting them on! They look quite feathery in the packet but I get lots of comments about them! I have the MAC glue tho...lasts ages.My tip is put glue on...leave for about 2 minutes...close your eye and gently place on edge. Get an ear bud and push into place...move within 15 secs for repositioning without leaving glue residue. Practice practic practice if you doing them yourself! If you get MAC ones book in with girls and they will do your make-up and eyelashes too and they will def stay on and the makeup will look fab! My BM did her own...she hated her makeup cos she rushed it and had one hanging off later in the day!lol.I'm getting one of the girls to come do mine and my BM's so we all match/compliment. I agree about the MAC ones ! The best eyelashes that i always use on a night out and that i will be wearing on my wedding day will be the ones from Mac. There is a huge range to choose from and they are not badly priced, the quality is really good too! I fyou look on the MAC website they have a little video clip to show you how to apply them- I ordered mine on line and they should arrive tomorrow! The girls aloud ones but only Nicolas! They are AMAZING! I bought myself some MAC ones, and they were fantastic! ... but then I got rather drunk and somehow lost one, then took the other one off in frustration. I paid £18 for those bad boys. you tube clip.....she is the best one i have seen and I went through most of them!! 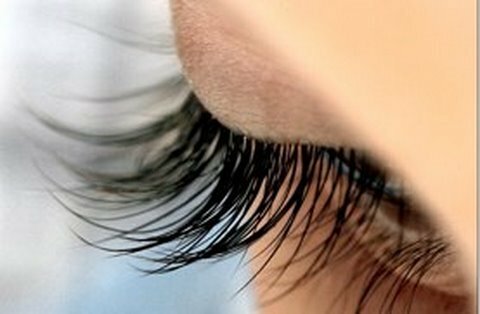 Do the lash extensions make your lashes look nice and curled? Thinking of getting them but my eyes are pretty small and need something that'll open them up. If extensions just look long but straight I thought I may as well save my money and just use eyelash curlers!